TRANSEMIRATES is a premiere building contracting company, established in 1977 and has enjoyed solid, consistent growth/financial stability and is well known as one of UAE’s leading, dynamic and diversified firms in Building Construction and Contracting. The company is classified as an A Grade contractor with local authorities and has license to construct unlimited buildings. For a company with such potential as well as operating within the construction field, safety is without question the number one priority here. This is due to the fact that if unauthorized individuals were simply allowed near any construction machinery, the possibility of accidents occurring would also increase exponentially. With this issue taken very seriously by TRANSEMIRATES, the company has thus reviewed an array of security devices until finally selecting FingerTec H2i from our Dubai reseller, Hutaib InfoTech Solutions. FingerTec H2i offers workforce the option to access compounds upon verification of their fingerprints and nothing is more secure than depending on biometrics since fingerprints are proof of one’s true identity. With H2i, companies such as TRANSEMIRATES can easily inspect which employee is in which location and hence, assure that only the experts are handling their valuable equipments. What’s more, with H2i supersized capacity of 1,500 fingerprint templates, TRANSEMIRATES will have less to worry about regarding their growing staff numbers. 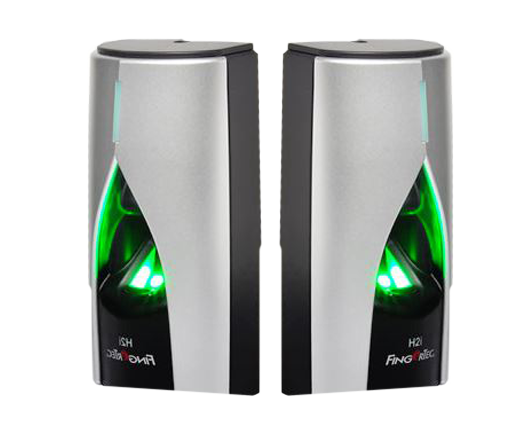 Yet, despite its storage, FingerTec H2i’s exterior design remains simple and sleek; making it suitable in virtually any workplace setting without ruining the aesthetics. TRANSEMIRATES is very impressed with the results produced by FingerTec H2i and has been using it along with its bundled software ever since. As such, the business has enjoyed solid, consistent growth and financial stability as well as being closer in their vision to be one of the most successful diversified construction companies in the Middle East. To explore more about FingerTec products, be sure to also visit our website provided below.